I Left My Keys Inside My Car! How Do I Get Back In? Do not be disheartened when you hear the words “I left my keys inside my car” coming out of your mouth. For some of you, this may be unfamiliar territory, so it makes sense if you are a little confused and panicked, but I assure you that there is a remedy to your problem, and you will get back in your car in no time. I truly sympathize with what you’re going through because I know that even the most typical car lockout can be stressful. I would like to assure that you will not be locked out of your car or locked out of your trunk for the entirety of your day because there are solutions that will help you get your car keys from inside your vehicle. Before we get ahead of ourselves, you should know that saying “I left my keys inside my car” does not make you, in any way, an irresponsible driver. It simply makes you human, since this is something that can happen to even the best of us. Now let’s begin to explore how this situation comes about, and how you can successfully navigate it. It always helps to explore causality of a problem so that the right solution can be reached. What do I do if I left my keys inside my car? First off, It helps to take some time to assess how you ended up in this predicament. Similar to the way a home security assessment helps you solve any security flaws, assessing your vehicle will help you handle the situation fluidly. Essentially, you should not dive into trying to get your keys out of your car without figuring out how or why you locked your keys in your car in the first place. Not only does this help you choose the best solution to get your keys out, but it also helps prevent you from repeating the same mistake in the future. It is very easy to wind up leaving your keys inside your vehicle, all it takes is one forgetful moment to throw your entire day off. For instance, let’s say you are unloading groceries from your car and you place your keys down to carry something. There is a very high possibility that you might end up leaving your keys on the seat and locking them inside the car. It is important to be aware that not every solution which will be discussed below is best suited to unlocking your car and giving you access to your car keys. For example, if you are saying “I left my keys inside my car”, in the midst of an emergency, a slow DIY approach might not necessarily benefit you as much as reaching out to the police or to a qualified emergency locksmith. Here are some of the solutions you can take advantage of. The last thing you want to hear at this juncture is that you should double check your car and make sure that you left your keys inside. As if you need a reminder of the current state you’re in? Trust me, I get it. However, don’t let the frustration of leaving your keys inside your car get the best of you. Sometimes the answer to your problems might be closer than you think. Drivers often overlook the most simple of solutions because they are looking for grand and sweeping remedies that can be applied to their problems. In this instance, taking the time to double check that your vehicle is completely inaccessible can save you a great deal of time and money. Ideally, you should make sure that there are no alternative entry points that you can take advantage of. This is always the first thing you should calmly do when you find yourself saying “I left my keys inside my car”. If your car keys are locked inside your car or if the keys are locked inside your trunk, check to see if all your car doors are locked. If they are, turn your attention to the trunk of your car. If your trunk is unlocked, and your key is in there, then you have come to the end of your journey (this is unlikely). However, if the key is in the main compartment of the car instead of the trunk, you will have a bit more work to do. For some vehicles, access to the main compartment of the car can be granted via the trunk. If your car is built this way then you can gain access to your keys. If it is not, then you will have to keep reading till you get to the appropriate solution for your vehicle. More modern vehicles will likely present drivers with some available alternatives that allow them to remotely unlock their vehicles in order to gain access to the key locked inside. Utilizing services such as Viper or OnStar give drivers easy access to their vehicles should they accidentally lock their car keys inside. These services are usually offered on a subscription basis. Take the time to check your vehicle for alternative points of entry. Viable alternative points of entry often include unlocked doors, rolled down windows, and unlocked trunks. Keep yourself calm and composed so that you do not escalate the problem at hand. Every driver needs a set of spare car keys for their vehicle. In fact, spare keys are beneficial to homeowners as well, and just about anyone who utilizes keys in some way or form in their daily life. If you have a spare key on hand, it should be relatively easy for you to gain access to your car and your original set of keys. 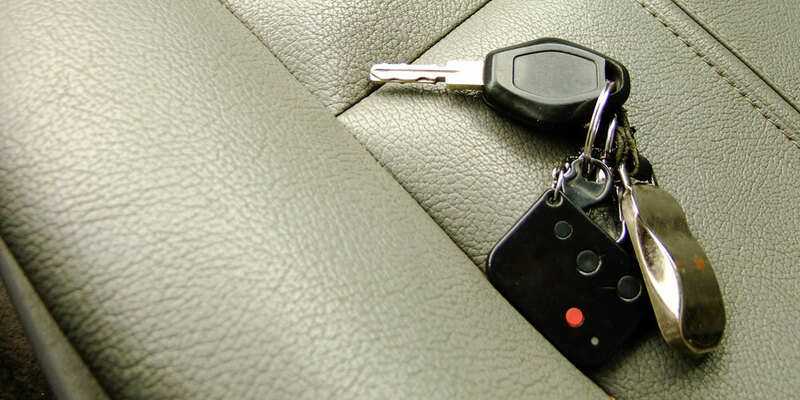 However, it is usually unlikely that most drivers will have access to a set of spare keys in this scenario, because the spare keys are often left in the vehicle. For those drivers who prefer to keep their spare keys in separate locations, this might just be the solution that you need. In this situation, it would help to call someone you trust to bring you your set of spare keys so that you can get back into your vehicle. This solution however, is contingent on your spare key being close by, and someone you know being in close proximity to you, as well as their willingness to bring you your spare key. It should go without saying that if you do not have a spare key this solution will not be the best fit for you. Although, you should look into getting one made after you make it back into your vehicle and get your original set of keys. It should also be noted that if you are in a remote location far away from your spare key, there are other solutions that will help get you back into your vehicle in a more expedient fashion. When you have no spare car key on hand, see if there are any trusted friends or family members that you can call to deliver your spare key. Access to your spare car key simply means that you will be able to get back into your car without having to bypass the car door locks or inflict any form of damage to your vehicle. There are many DIY tips and tricks that drivers can take advantage of to get back into their vehicles when they find themselves repeating the phrase “I left my keys inside my car!”. Leaving your keys in your car can be quite the ordeal but there are always ways to solve this problem and get yourself behind the wheel again. In terms of DIY solutions that you can use to get back into your car, there are a few handy ones at your disposal. The scope of success for each of these DIY tips and tricks will depend on the state of your car, as well as the type of vehicle that you have. This will make much more sense as we go along. Drivers can utilize anything from common shoe laces, to professional tools like probes and slim jims. Some of these solutions can be found within a stones throw distance from you, whereas other tools might have to be bought from a local hardware store, some of which may not even be near your current location. If you are leave your keys in your car and you are stranded in the Home Depot parking lot, then you are in luck, sort of. The extent to which these tools can be used all depend on the nature of your car door locks, as well as how accessible your other elements of your car door are. Any attempt to try to unlock your car to gain access to your keys will involve trying to circumvent your car door locks in some way. This is why the nature of your car door lock is important. If you have post locks, using your shoe laces will help you unlock the door, but the same method will reap different results when trying to open a car door with a sliding lock or push lock. Keep in mind that DIY methods often take time to master and to implement successfully. This usually means that they are not the best solution in emergency situations. DIY methods are quick and sometimes easy if you have the method for the process down. However, it takes some time to get the right tool, and then even more time to perfect the process required to open your car. The kind of tricks that you will use unlock your car to get access to your keys will vary based on the style of your door locks as well as the security of your vehicle itself. There are a few professionals that you can reach out to for help in the current scenario that you find yourself in. These professionals have the skillset and the tools necessary to help you unlock your car door and get the car keys that are locked inside your car. 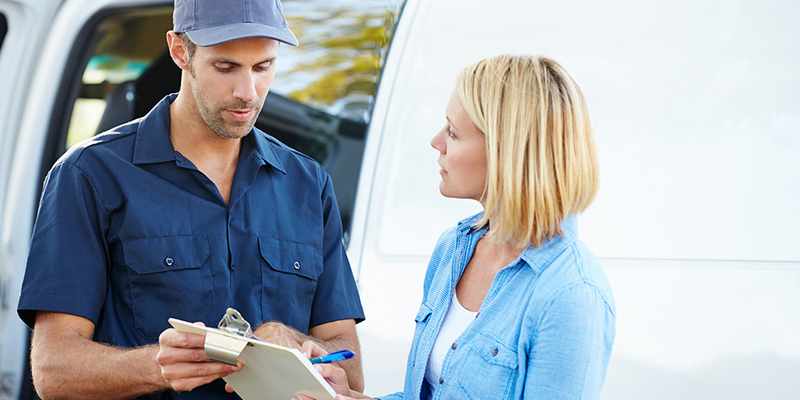 These professionals range from full-service locksmiths to police officers, to companies that offer roadside assistance to its qualifying subscribers such as AAA roadside assistance. Do not be afraid to reach out for assistance if you need it because sometimes this is the only way you will be able to get your keys from inside your car. Calling for professional assistance is much different than simply calling someone to bring you your spare keys. Some drivers are often hesitant of calling for assistance because of the added cost that may be involved with this, as well as having to admit to themselves that they really did leave their keys in their car. If you are wondering how much it costs to unlock your car, you should know that using a professional service will rarely be free. As has already been stressed above, there is nothing to be ashamed of if you find yourself, for whatever reason, saying “I left my keys inside my car”. If you are in need of assistance, do not hesitate to make the call that gets you the help you need, especially if the situation is somewhat of an emergency. In this instance, assistance refers to professional assistance, which usually comes in the form of help from an automotive locksmith or other related professionals who can assist you with unlocking your car and retrieving your working set of car keys. If you believe that you are in a life-threatening situation because your keys are locked inside your car, then your first point of call should always be the police. On the other hand, if you simply need help getting back into your car to retrieve your keys, you should call an auto locksmith who handles car lockouts, or you should reach out to a roadside assistance service provider. Enlist the help of either a locksmith who specializes in car lockouts, a police officer, or roadside assistance service. If you are in the midst of an emergency, you should always dial 9-1-1 for assistance, especially if you feel that your life, or someone else’s, is in danger. It’s easy to think that there is nothing you can possibly do when you come to the realization that you have left your keys inside your car, but if you keep a level head and seek out the appropriate resources, you will be back in your car in no time. Remember, do not hesitate to ask for assistance should you need it. If you are locked out of your car in the midst of a life threatening emergency, call 9-1-1. However, if you simply require the assistance of a 24-Hour Locksmith, contact United Locksmith, and we will be there shortly to assist you and help you get back inside your car.